The National Social Security Authority (NSSA) says it advanced $70 million since dollarisation to banks for on-lending to the country’s productive sectors including the growing small to medium businesses. This is in addition to $5 million availed to the Small to Medium Enterprises Development Corporation (SMEDCO) and $10 million agro bills on an annual basis for SME farmers. NSSA regional contributions, collections and compliance manager Mrs Agnes Chikwavire, indicated this is part of the authority’s contribution towards stimulating economic growth by availing cheaper financing for all the country’s productive sectors especially the SMEs on the back of their potential to contribute meaningfully towards the economy. “As for our money markets investments, we have a portfolio of $70 million to banks for on-lending,” said Chikwavire during the Institute of Bankers of Zimbabwe Summer School 2017 in Nyanga. We have also advanced $5 million to SMEDCO and agro bills targeting farmers classified as small-scale and informal, we are looking at $10 million every year,” she said. 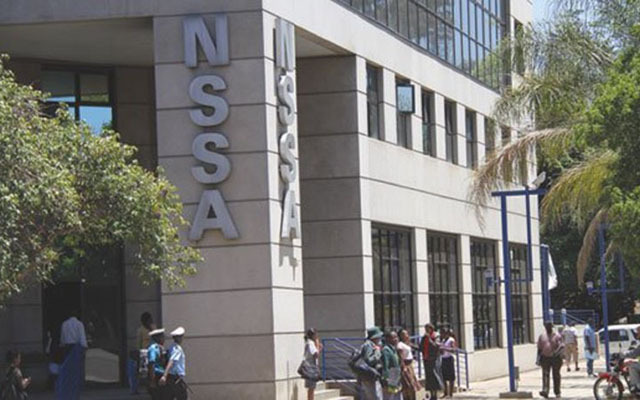 NSSA is also developing special packages for the SME sector to expand the shrinking social security base due to job losses in the formal sector. This comes on the backdrop of the increasing informalisation of the economy spurred by the booming SME sector. Mrs Chikwavire, however, acknowledged the increasing informalisation of the economy is drastically shrinking the social security contribution base. In light of this, she said the SME sector required adequate funding to boost growth while pursuing their formalisation to enable them to contribute to the country’s tax revenues and economic growth. “There is urgent need, therefore, for the development of appropriate social security packages for the informal sector, not only to alleviate the vulnerability of workers in this sector, but also to expand the social security contribution base,” she said adding improved access to cheaper finance was important for the growth of the sector. However, the sector needs to formalise in order to access banking services as research has shown a significant number of the business owners rely on informal financial services, which is risky and expensive. According to a Finscope survey, only 14 percent of the SMEs are formally banked while the rest rely on the informal services to access funds. “There is need to embrace financial inclusion as disbursements will be done through financial institutions. This will result in more income to the government as formalised SMEs will contribute to the fiscus through various forms of taxes. “This is also in addition to employment creation and enhancement of social security, poverty eradication and less social welfare burden. Once employment is created it will also mean more contributions to NSSA – contributions which can then be channelled towards other sectors of the economy including SMEs thereby further facilitating economic growth and development in general,” she said.